On paper, there is arguably no more ideal filmmaker to take over the Predator franchise than Shane Black. Black, who had a supporting role in the original Predator (1987), has developed a career as a director of witty, often wickedly funny action films such as Kiss Kiss Bang Bang and The Nice Guys, while also proving equally comfortable with big budget blockbusters like Iron Man 3. With his connections to the series dating back to the original, Black seemed a natural choice to direct the fourth in the 30 year old franchise, and he does indeed take the series in a new direction from where it's gone previously. Unfortunately it may not be somewhere the franchise really needed to go. The Predator is far and away the funniest of the Predator films; Black's dark humor is on full display here. In fact, The Predator often feels more like an action/adventure film in the vein of The Mummy (the Brendan Fraser one, not the dour reboot with Tom Cruise), rather than the action/sci-fi/horror hybrid aesthetic of the first three films. 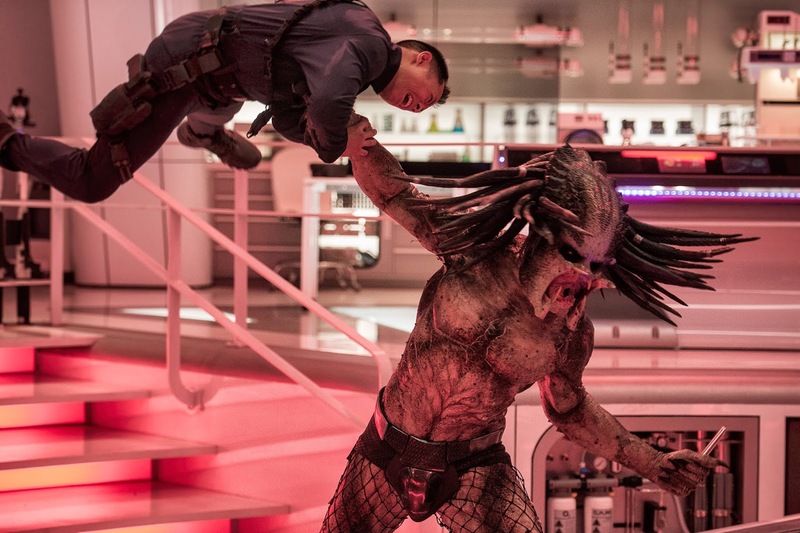 Like the original film, The Predator centers around a band of military commandos doing battle with the Predators, except this time rather than an elite squadron, they're a motley band of misfits who literally escaped from the military psych ward with the help of our hero, Quinn McKenna (Boyd Holbrook), a Marine sniper the military is trying to silence after he witnessed a Predator craft crash-landing to Earth. But this time, the humans aren't the targets - they're merely caught in the crossfire between Predators as one of them goes rogue to give the humans a secret weapon to fight back against Predator attempts to harvest their DNA in their quests to become the galaxy's ultimate killing machines. 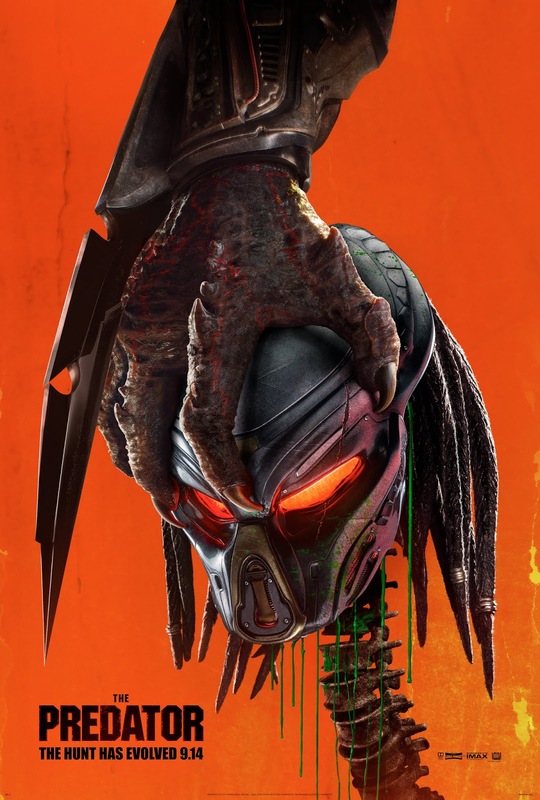 It's an interesting concept, but the Predators always work best when we know the least about them, and attempts to deepen the mythology around them without answering too many questions has mostly been an asset to the series thus far. In The Predator, however, the Predators talk for the first time, and not just mimicking humans, they actually carry out conversations with people, a move which seems strangely unnecessary. The move away from the primal struggle for survival makes the Predators less imposing (not to mention the move away from practical effects to CGI), and the film's attempts to setup a sequel seem painfully contrived. This has never been a series with a strong, overarching vision or sense of mythology, and the attempt by the studio to try to make one now feels like a lame attempt at a cash grab. Still, there are some things to admire here, chief among them the central idea that the most desirable human trait that the Predators are seeking comes from Quinn's autistic son, Rory (Jacob Tremblay). The Predators see his heightened sensibilities as an evolutionary advantage and seek to add it to their arsenal. It's a surprisingly forward-thinking idea (even if it isn't always handled with the most sensitivity). Otherwise the film is tonally scattershot. It's a vast improvement over the abysmal Predator 2, but it doesn't have the brutal efficiency of the original Predator or the mysterious beauty that really distinguished Nimród Antal's under-appreciated 2010 threequel, Predators. While each entry in the series has felt mostly self-contained and unconnected to any of the others, The Predator finally starts to dig into the idea that the government is aware of their presence and is attempting to study them, but that really takes away from the mystique of these creatures. They're no longer terrifying hunters that hide in the shadows, they're CGI monsters that talk and have grand galactic plans to harvest humanity. The more we know about them, the less interesting they are, and The Predator never seems to quite figure out what it wants to be. It's perhaps Black's most tonally awkward film, in which for the first time he seemingly struggles to find the balance between action and comedy. It's too slick, too schematic, and bears the imprint of too much studio interference. While it's certainly entertaining in the moment, one can't help but feel that there's a much better film in here somewhere. Black certainly seems to be having fun with this figure from his past, but it's just trying so hard to be fresh and different that it just doesn't seem to fit. 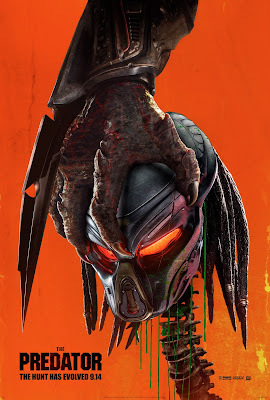 THE PREDATOR | Directed by Shane Black | Stars Boyd Holbrook, Trevante Rhodes, Jacob Tremblay, Keegan-Michael Key, Olivia Munn, Thomas Jane, Alfie Allen, Sterling K. Brown, Augusto Aguilera, Jake Busey | Rated R for strong bloody violence, language throughout, and crude sexual references | Now playing in theaters everywhere.